Starting a new year we would like to see SOMETHING NEW. over to check them out. and cards himself, I believe they are from The Works. Labels: MTTC, Thank You Card. Hi, I can't believe how quickly it has become Christmas time. are challenging you to one more card, with a twist. Please pop over to check out the wonderful ideas from the DT. My card is a white scallop edge, a mirri card for the base. Dreamees papers, from the Simply Christmas CD. The stamp is Wandering Star by Little Claire. Have fun, wishing you a Happy Christmas - Happy Holidays. Hello again, thanks for popping by. Please pop over to see the wonderful samples from the design team. I stamped with Versamark and embossed with white detailed powder from Stampendous. The stamp I used is Meadow Flowers from Woodware. I used ordinary coloured wax pencils and a Sakura white gel pen for the dots. A neat easel birthday card with an interesting stamping technique. pop over to see their ideas. A Vintage Santa by Stampendous Stamps. Katy Sue Designs - Tall Tails. Have fun and thanks for your visit. Please pop and see the super inspiration from the DT. The Best of La Pashe 2012. Today is the start of a two week challenge at Cardz 4 Galz. have created some fabulous inspiration. there were so many, a fabulous resource with lots of ideas. a birthday greeting stamped, secured with two gold brads. Hi everyone, thanks for popping by my blog. Today starts a new weekly challenge at Cardz 4 Guyz. Please pop over to see the wonderful inspiration from the Design Team. Simply Christmas by The Dreamees. Card, greeting and peel offs from my stash. Stay well and thanks for your visit. Hi, Welcome to my blog, thanks for your visit. I chose Show Me A Snowman for the challenge. pop over to take a peek at their inspiration. by Dreamees Stamps and CD's.The wonderful Snowman is by Little Claire. Please pop to the blog to see the creations from the DT. My card is a 6" sq. Kraft card, matted with brown card. The image is a freebie download I found on Pinterest. Small labels by LOTV. Remainder from my stash. will be judged by the Design Team. Digis are Not allowed. Please pop over to check out the lovely creations from the Design Team. I made an A 6 navy blue card, matted with silver foil. Matted again with a white sheet of card. I die cut a rectangle with a Go Kreate die. I used dark blue and grey tones of Promarkers to colour. Blended Chipped Sapphire to the edges of the topper. Glitter added to the star. pop over to take a peek. I have made a tag, first of many to be made for my gifts. An old favourite Inkadinkado stamp of Santa, coloured with Promarkers. Chipped Sapphire blended over the card. Sentiment stamped onto torn vellum. Please check out the details and wonderful inspiration from the DT. I was inspired by a card on Pinterest and I chose Trees. An A6 Navy card, with a silver foil mat. with a punched circle moon, removed after completing the blending. generations creating the appearance of depth. Clear EP heated to create a shiny finish, which looks like frost. Sentiment stamp by Crafter's Companions. challenge over at Alphabet Challenges. They can be any tree or trees, for any of the seasons. at the inspiration from the Design Team. I have made a cream 6 x 4 inch card. I first made templates for the 3 trees then used the designer papers. Have fun and enjoy, thanks for your visit. the challenge. I know , not another snowman, but yes, I love them. Christmas, so it needs to be inked and to get a few cards made. to the wonderful Design Team. I used Dreamees backing papers from their Simply Christmas CD. The stamo is by Sweet Dixie - Cute Snowman. for the gorgeous colourful patchwork coat. Glitter and card candi to finish. Thanks for any comments, always welcome. Christmas card style for 2016.
over to check out the few details and to see their inspiration. Simply Christmas, actually left overs from a previous card I made. The image of happy snowmen is by Little Claire - there are 3 images in the set. Twine and white card candi. Peel off dots for buttons. Have fun, I loved every minute making this card. inspirational cards for you, please pop over to take a peek. then a mat of a gorgeous shade of blue. recently. I'm not sure what it is called but isn't it just adorable? I used Promarkers for the colouring. The sentiment is also from Little Claire on the Snow people set of stamps. We do ask for you to actually Stamp with either rubber or acrylic. Digi stamps will not be judged. Why don't you check out the details and see the ideas from the DT. I matted a piece of red card onto a white scallop edge card. I cut a piece of white stamping card for the stamped image. I used a Dimension Fourth Vintage Christmas Garland. The above stamp also has in the set, the sentiment I used. I coloured the image with Promarkers and glitter pens. Sadly the shiny parats don't show on the photo. Have fun, and again thanks for your visit. which will inspire us all. Creative Crafting World artwork by Pollyanna Pickering. To enhance the papers I have added silver mirri card on white card. A few silver star embellishments. Lots of Glamour Dust Crystal Glitter. Christmas message embossed with white E.P. Have fun - hope to see you again. Hi, hope your well and thanks for visiting me. A red glitter card punched out star. Musical paper from Dreamees - Simply Christmas CD. Strings of twine with stars glued on. Hope you can take part and enjoy making your star card. will be A Contemporary Christmas. future cards with different papers. Hi everyone, today we begin a new challenge at Cardz 4 Guyz. Please check it out and see the wonderful creations from the DT. All the papers on my card are from Dreamees CD - Simply Christmas. The Snowflake Christmas Tree is also from Dreamees stamps. The remainder elements are from my stash. Have fun. Bye for now. Make My Monday couldn't be more appropriate to me. Amy is asking for Get Well messages. made in November 2015. It will be new to many visitors. However, Cyndi has chosen one special for me and I know many others. time of the year we remember, we think of others. Please check out the inspiration from the DT. My card is from October 2015, please accept my old entry. Great British Bake Off - I love that programme, so happy Candice won. We need to choose from a recipe block to use at least 3 of the mentioned items. see the super creations from the Design Team. a die and some lace. Total of five. nothing specific to mention. Have fun and enjoy. next challenge at Cardz 4 Galz. to see their inspirational cards. Abandonded Coral, Twisted Citron and Mermaid Lagoon. I am still needing to get a few more before my collection is complete. I then splattered on water and patted it off, to create the bleached areas. Stamps used are from Chloe Stamps the Dandelion. The foilage and toadstools are frm Lavinia stamps. The Fairies are by Sheena Douglass, - Hidden Fairies. The sentiment from Lily of the Valley stamps. Crystal Stickles to the Dandelion heads. Hi, thanks for your visit, please have a good look around. A card with some movement, e.g. a waterfall, shaker, slider etc. You may need to show us two photos. The DT have again excelled with a super variety for the theme. Silver Wow! powder embossed around the edges. Hi everyone, don't the weeks go fast once summer (UK) is over. Please pop over to check out the stunning work from the DT. My card - Black main card matted layers of orange and silver. White card blended with DI Stormy Sky and Chipped Sapphire. All stamps by Tandastamps (old and no longer available). The moon was first masked , then, Quickie glue pen and Glamour Dust added. Hello, thanks for popping into my blog. is like watching slow fireworks, amazing. I matted onto orange and black card onto a white scalloped card. The challenge is appropriate for the time of the year. Please check out the blog, to see the samples from the DT. included when choosing the winners. I used several ink sprays to create the speckled background. The large spider web is a gliterry sticker. 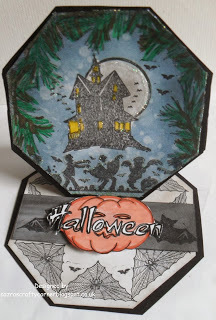 Count Dracula and the small bats are from Crafty Sentiments. Hi everyone, thanks for your visit. at present for Halloween. We at Cardz 4 Guyz ae no exception. wonderful creations by the Design Team. elements are from a Graphic 45 Rare Oddities set which I totally love. Please pop and dcheck out what the Design Team have created. 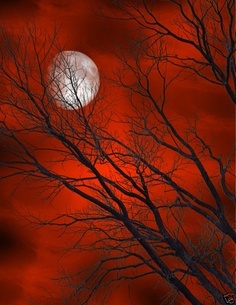 stamped branches, the house and ghouls. Splattered water for atmosphere. Glitter touches here and there. Spider's webs, bats, and a large pumpkin. All of the stamps, except the branch were from Tandastamps, sadly no longer in business. The branch is from Sheena Douglas - Pinescape stamps. For those who do enjoy Halloween I'm hoping you all have a super spooky time. Hi, thanks for popping by, hope you enjoy your visit. For my card I made a 6" x 4" white card. Patted 3 Distress inks onto a rectangle acrylic block. Sprayed with water, stamped the colours onto the page. Allowed to partly dry, then used a heat tool to completely dry. directly into the coloured area. Stamped Lavinia fairy at the top. Drew around the rectangle twice with a Micron Pen. Created - Just a Note. Total time spent once all materials were gathered together. if you haven't used this technique before. Hello, many thanks for your visit to my blog. Use At Least One Die. Please pop over to see the wonderful inspiration from the DT. I have used a 6" scallop edge white card. The flowers and scrolls are all Marianne Dies. to match the colours of the papers. for over a week, I knew for days what I wanted to do. At last my task is complete. 16th October after two weeks, is a great choice. For my entry, I made a 7 " scallop edge card. as youngster I went to many County fairs with my family. Thanks again ladies, for a wonderful challenge. Hello, thanks for your visit. I would love you to leave a comment. Please pop to the blog to see the DT inspirational creations. I made a circular card. Background paper and card candi from my stash. Stamps used - Stampendous Time Flies clock and sentiment. So Crafts Chronology set free with a magazine. Please check out how the DT were inspired with this photo. something different, we can all be guided by what materials we have. For my card, I used a black card to mat the main image. I used TH Distress Inks Barn Door, Fired Brick and Aged Mahogony. Stamps- one of my mot favourite Inkylicious Poppy Lea. Fern stamp at the top of card - Pinescape by Sheena Douglass. where your entry must be created by using an actual stamp. folk to get out their stamps or to at least havae a go with stamps. amazing results which is actually so simple to achieve. Here is a Gina K You Tube video which explains all. with Versamark and embossing with white detailed powder from Stampendous. I hope you have a go with this technique, one I certainly will be doing again. Hi, thanks for your visit. Please pop over to see the DT's creations. I made an easel card using papers and images, decoupaged, from a CD. I love these whimsical designs and colours. I added a few jewels to decorate. Have fun - there are so many fancy folds to choose from. Hi everyone, thanks for visiting my blog, I hope you enjoy my card. Helen has chosen a one with lots of possibilities. pop over and take a look. We would love for you to join in. I had great fun creating my card. White scallop card, Kraft card, Spellbinders Round Dies. Distress inks, Brushed Corduroy, Vintage Photo, Walnut Stain. Promarkers for the leaves and acorns. inspirational creations by the Design Team. experienced card makers who like to use CDs. Many of us do. printed from a La Pashe CD - The Best of 2012. Additional elements are labels stamped with LOTV Christmas Tags. 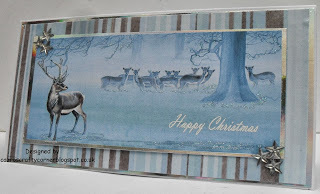 Die Cut of Merry Christmas - a freebie with a magazine. Card Candi - and of course a Glue pen and lots of glitter. Why don't you pop over to see the creations from the DT. I have used papers and an image from Papermania paper kit, Bellisima. Used mirri card between the papers. Added lace, flowers and leaves. Hi, today a new challenge starts at Cardz 4 Galz. Please pop over to check out the inspirational creations from the DT. Inks onto a 6" square card. Splattered with water to create water splashes. embossing powder, then with Versafine and Gold embossing powder. I used stamps from a Dare 2B Artsy Autumn leaves set, including the sentiment. Hope you have been inspired and will have a go. Thanks for popping by. and enjoy looking at today's posting. is starting for the next week. Brusho powders and some Distress Inks. from Crafter's Companion Just For Men Signature set. the mess on my desk from either previous projects or laziness. the black card. I rubbed over with Gold Wax Patina, also on my desk. been built up with various ink sprays. The flowers are stamped with Leonie Pujol - Everlasting Love stamps. I had intended to use these to decoupage but changed my mind. The sentiment - Crafter's Companion. again , left from another project. The card finished, some of the items have now been put away. Please take a look at the amazing projects created by the DT. I have been playing with my Graphic 45 Rare Oddities Paper pad. papers from my Rare Oddities paper pad.